Almost a full year after traveling to Brazil we decided to try our hand at a full week-long vacation using almost all points accumulated over about 9 months. If you read the previous post on traveling to Brazil, you know that I was also using my newly obtained Chase Marriott Rewards Premier Credit Card for a lot of travel expenses in order to meet the minimum spend for the 80k point bonus. I achieved the bonus points shortly after returning to the states. On top of the sign-up bonus, I was able to slyly use my credit card for about $50,000 in work purchases which helped bring my Marriott point balance close to 160,000 before any additional spending. This in addition to booking work hotel stays for co-workers even allowed me to obtain the coveted “Platinum Status” with Marriott rewards. Hello, free upgrades! I also picked up the co-branded Starwood Amex Credit card in order to get another sign-up bonus of 25,000 SPG points. After receiving the bonus for this credit card, I called them for a status match to my Marriott status. (A status match is a term used by credit cards and other loyalty programs where a certain company will “Match” your status with another card or loyalty program, usually for a short period of time.) So, now I have the highest status with Marriott and SPG! We booked our flights with a credit card, not points because the flights weren’t too outrageous, ~$400/person. We booked using the Chase travel portal and paid with the Chase Sapphire Preferred credit card for maximum point accumulation (x2 pts on travel). 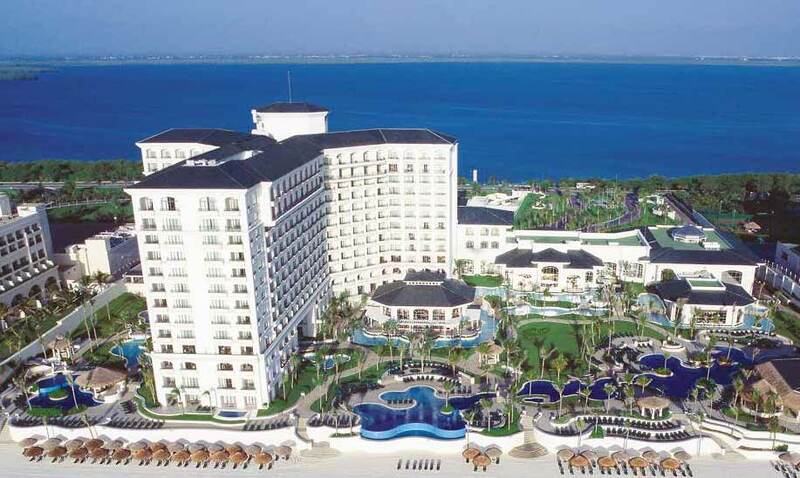 We had two hotels that we narrowed it down between for 5 of the 7 nights we would be in Cancun. One was the Casa Magna by Marriott and the other was the JW Marriott. Both are stunning properties and are probably equally amazing on the inside. But, in the end we chose the JW Marriott because it was 10k points cheaper and was right next door. We called ahead and made sure we would be able to go inside of the Casa Magna next door and use their amenities, they said, “of course, no problem.” Best of both worlds? Yes, please. Deal sealed! 160,000 spent Marriott points later, we have 5 nights in the JW. *One of the great perks to Marriott rewards is the “5th night free” when booking reward/point travel. So you only pay for 4 nights with points and that 5th night is completely free. I’ll take it! We still had 2 more nights to book, one near the airport for when we arrive late in the evening on night 1, and another for the final night near “El Centro” or the party district. After spending nearly all of our Marriott points, we switched to the Amex SPG credit card to see what was available to book with points. 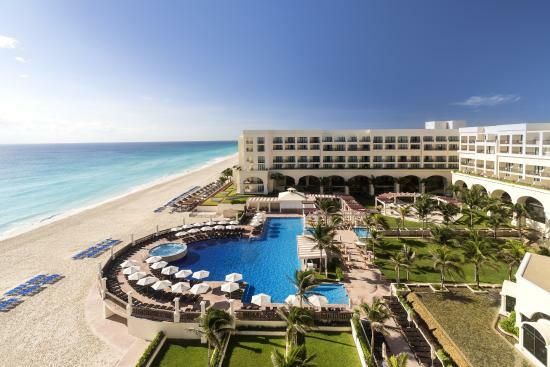 Luckily, hotels for SPG in Cancun are at the cheaper end of the points redemption value at only 3,000 points per night. We have 25,000 so we booked our first night at the Four Points by Sheraton, and the final night at the Aloft Cancun for 3k points each. That covers all of our hotels for our 7 night trip, which saved us over $1500 in hotel room costs. We wanted to travel around the Quintana Roo area (the “state” in which Cancun is located) to see some of the infamous Cenotes, the city of Playa Del Carmen and Cozumel, so we decided a rental car would be the easiest way to get around. Turns out, it is! Cars are cheap and driving isn’t a challenge especially since they have mostly the same rules of the road as we do here in the US of A. We used the chase travel portal again to book the rental car through Budget and it only cost us 6,000 chase points, or about $75 for the entire 7 day vacation. Here is a video recap of our time at the JW Marriott and some of the sites around Quintana Roo. All editing is done by my partner, GC. Enjoy!